This is just an overview of what I find important in a dive computer, and my current favorite dive computers. Note that different people will have different preferences and use patterns, so take everything with that big grain of salt. But I'll try to explain why I like the particular dive computers I do. The absolutely most important part of a dive computer is that it should be easily legible. Part of this is the dive computer display, but a large part of it is that you should be familiar with the dive computer you are diving. A dive computer that you don't understand is pointless, and it's one of the reasons I think a dive computer should be one of the first pieces of equipment you buy. Because even a bad display can be legible at a glance as long as it's a familiar bad display. 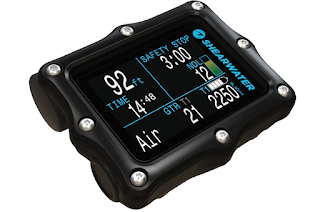 That said, if you care about what makes a good dive computer stand out, it is almost entirely about what information it displays, and how it displays it.